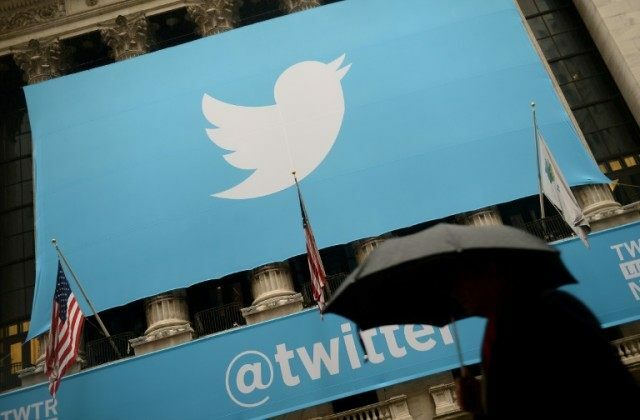 San Francisco (AFP) – Twitter introduced a new head of operations Friday for what it calls Greater China despite still being banned in the mainland, as it attempts to boost already booming advertising. While San Francisco-based Twitter is not allowed to operate in mainland China under the country’s strict Internet censorship, it does have an office in Hong Kong that courts advertisers over the border. Twitter chief Jack Dorsey fired off a tweet from his @jack account welcoming former Microsoft and Cisco general manager Kathy Chen as managing director of Twitter’s Greater China operations. “I’m really excited to find more ways to create value for our advertisers, enterprises, creators, influencers and our developers, and partners as well,” Chen said in a video snippet posted in a tweet from @TwitterGCN. Twitter shared a link to a story in Hong Kong’s South China Morning Post that reported the company has seen advertising triple in Greater China since it opened an office in Hong Kong in March last year. Twitter has been banned in mainland China since 2009, but the service is a way for businesses there to get advertising messages to potential customers in other parts of the world. “We’ve seen success with Greater China export advertisers and publishers using Twitter to reach global audiences,” Twitter chief operating officer Adam Bain said in a tweet welcoming Chen to her new job. Twitter last week added a PepsiCo executive and a British entrepreneur to its board as Dorsey continues an effort to shake up the stagnating one-to-many messaging service. Since making a star-quality entrance a decade ago, Twitter has become a must-have tool for journalists, activists and celebrities but has struggled to show it can expand beyond its devoted “twitterati” to become a mainstream hit. Twitter’s woes include a slump in its stock price to all-time lows this year — down nearly half from its 2013 stock market debut — and ongoing losses, even as its revenue grows. Twitter’s base of monthly active users remained stuck at 320 million at the end of 2015. While that is a big accomplishment, Twitter has failed to keep pace with fast-growing rivals and to expand beyond its base.